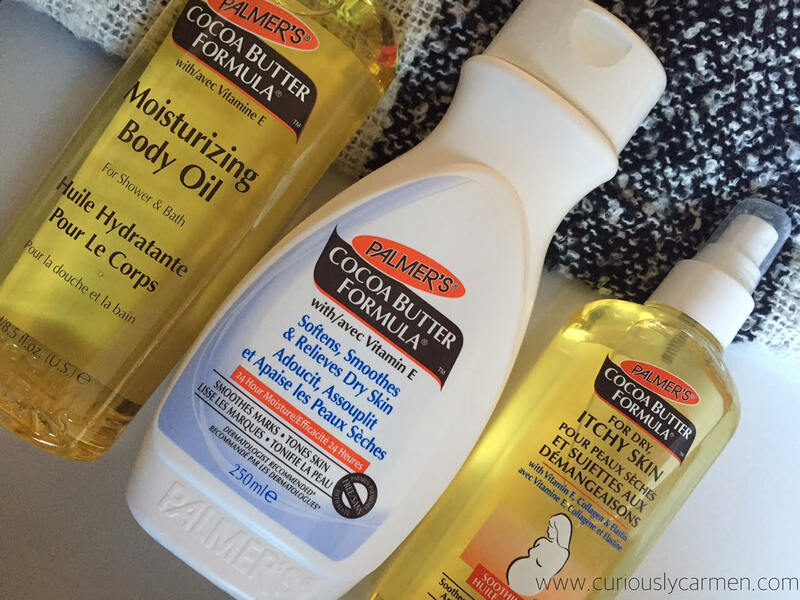 These new Palmer’s products could not have arrived at a better time to relieve my skin. 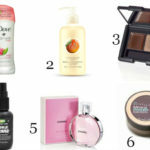 These three super products help combat dry skin caused by the dry and cold air, and leave you smelling like chocolate! Did you know that hot water actually dries out your skin? After a cold day, I want to do nothing but take a nice, hot shower to warm up.. but my skin has been insanely itchy and dry afterwards. I never knew this since I don’t ever suffer from dry skin but now I’m forced to take colder showers so I don’t become ridiculously itchy and dry after. 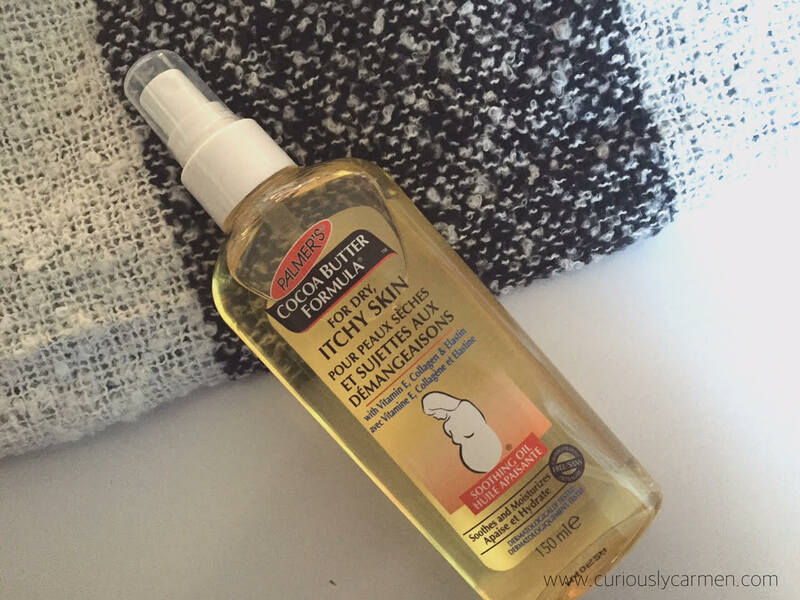 With the harsh winter air coming, my skin has not been drier. 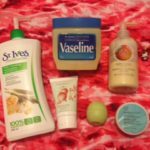 I constantly find myself having to moisturize many times a day, which is unusual for me! 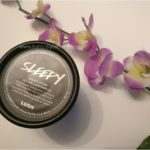 In particular, my face has been super, super, super dry compared to my usual oily skin… I’m finding myself looking for masks that help dry skin- something I never thought I would do. 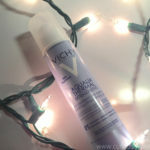 I could not wait to try these products out as my itchy skin was becoming so frustratingly uncomfortable. Trying to relieve an itch that won’t go away does not look good in public… and I might have scratched too hard because certain parts of my skin are raw and red now… UGH. 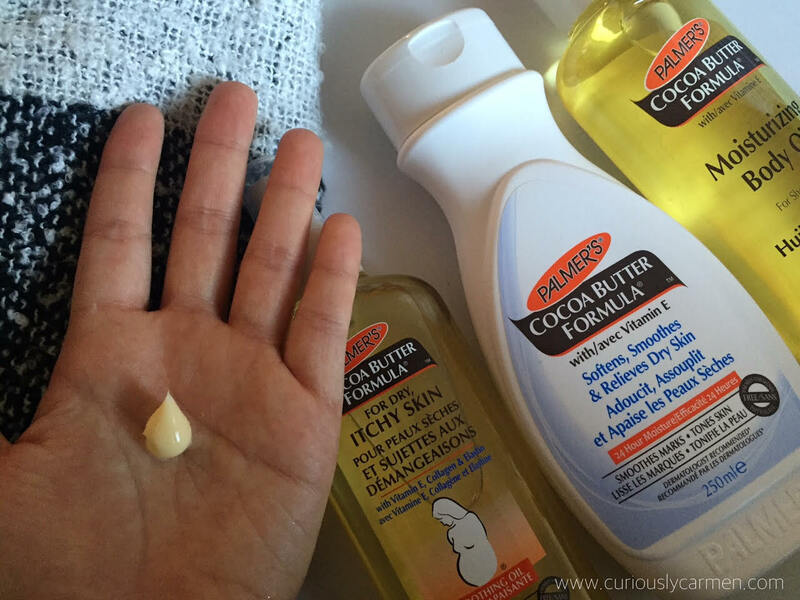 To fully moisturize your skin, I recommend using all three products during and after your shower routine. 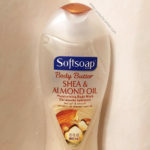 While you’re in the shower or bath, use the moisturizing body oil on your skin after your soap. Be careful though! As this is an oil, your bathtub may become slippery so take extra caution. After the shower, follow up with the skin therapy oil. I find that the spray bottle is better because there is less mess, and you have better control to the amount of oil that spray. 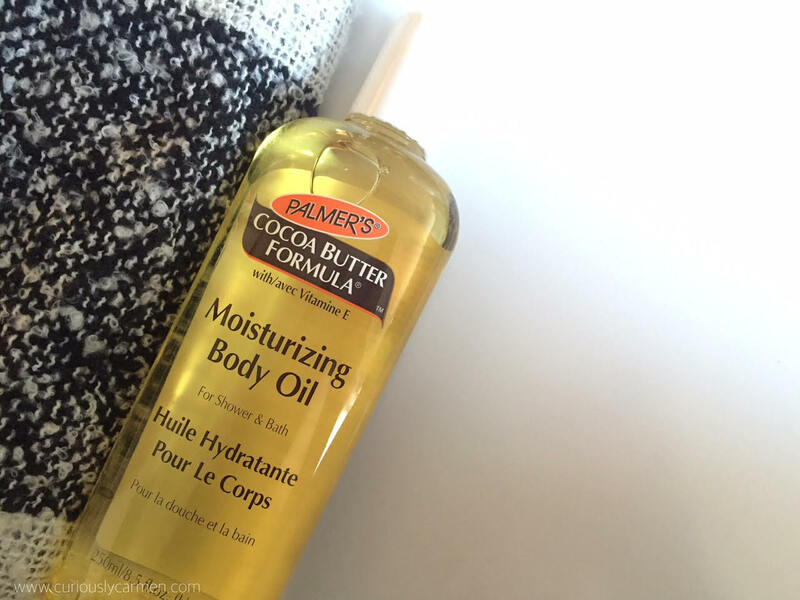 The soothing oil, compared to the body oil, was not as thick but still did an amazing job in moisturizing my skin. 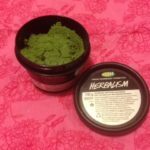 Sometimes, I’ll just use the soothing oil on its own on extra dry areas. 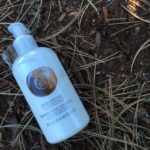 Once your skin has soaked up all the soothing oil goodness, finish with the classic Cocoa Butter Formula Lotion with Vitamin E. As you can see from the photo, the lotion has an off-white colour to it. I love how all three products smell like chocolate! I just recently finished my Halloween chocolate stash but I’m able to still be surrounded by the wonderful chocolate scent with these products. The scent is not too overwhelming either! 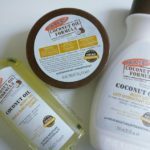 I am giving away two sets of the Palmer’s Cocoa Butter line and hope that you and a friend will enjoy them as much as I did! The two sets will be shipped to the winner. CuriouslyCarmen & Palmer’s are not responsible for any injury or harm that may occur. This which would be super unlikely, but the oils may be slippery so take caution of your surroundings when using them! CuriouslyCarmen & Palmer’s are not responsible for any allergic or health reactions that may occur. It is up to the individual to consult product ingredients and acknowledge ingredients are right for them. 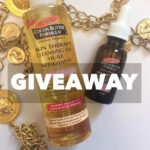 Beauty: Palmer’s Coconut Oil – Giveaway!! !